Quicklime has many uses in the oil and gas industry. In the oil drilling process hydrated lime is used as a conditioning agent on the resulting drilling muds and to stabilize the surrounding area soil for oil field roads, pads and the drill site. Quicklime is used in the refining process to neutralize the resulting sulfur impurities to reduce air pollution. 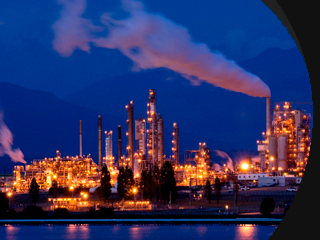 Quicklime is also used in the petroleum refining process for corrosion control to extend pollution equipment life.